Manhattanhenge, a spectacular sunset when the sun aligns with New York City‘s street grid, happens only twice in 2015. The first time will be at 8:12 p.m. on tonight and Saturday –this according to the Hayden Planetarium. On Friday, half the sun will align with the grid. The following day, the full sun will set in the grid. On a clear day, the typical resulting effect of Manhattanhenge is a “radiant glow of light” across the skyscrapers and buildings. 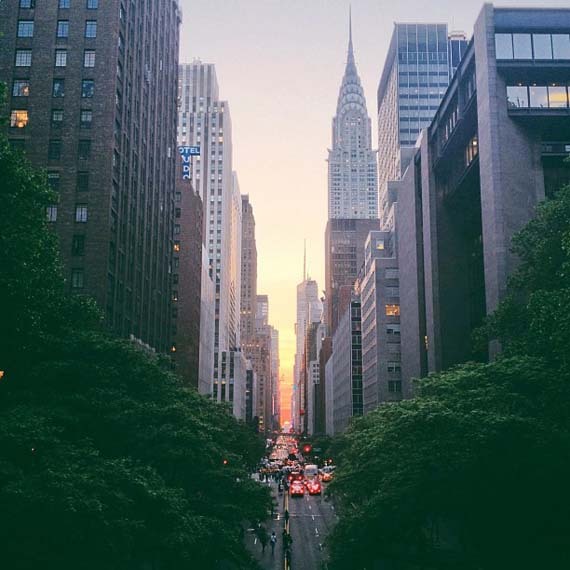 The best views of Manhattanhenge are as far east in Manhattan as you can go without losing view of New Jersey. Cross streets like 14th, 23rd, 34th, 42nd and 57th streets are great because they are wide… I’ll be looking at you can be sure to see you Twitter and Instagram feeds full of pics tomorrow.